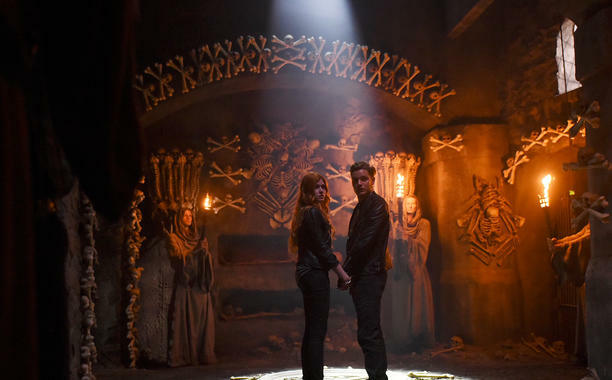 How wonderfully fitting that ABC Family’s Shadowhunters is coming to New York Comic-Con this October given that in the fictional world, these demon hunting Nephilim are based in NYC! Cassandra Clare is the #1 bestselling author of The Mortal Instruments series, soon to be adapted into the Shadowhunters TV show on ABC Family, as well as the Infernal Devices trilogy and the Bane Chronicles. A global phenomenon, her books have more than 36 million copies in print worldwide. 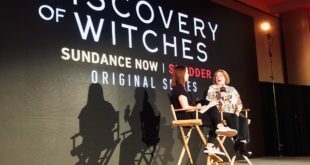 In conversation with Entertainment Weekly’s Amy Wilkinson, she’ll discuss her career and give a sneak peek at her new book, LADY MIDNIGHT, the first in the Dark Artifices trilogy, which comes out on March 8. 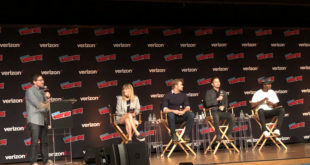 Will fans be treated to some preview footage at the panel? Here’s hoping and crossing both my fingers and toes!! Here’s a little more behind the scenes treats from the Shadowhunters cast and crew!